Roofing is a competitive business. Especially if you’re in a metropolitan area, it can be hard to stand out amongst all the competition. You know why you’re better than your competition, but how can you communicate that to the homeowners (or business owners) looking for a reliable roofing company? Having awesome reviews is one of the best ways to make that happen. Sure, you have to do some marketing work beyond getting reviews, but your home service business’s online reputation is a huge factor in getting hired. You’re probably pretty familiar with most of the ways that people can come across your roofing company, on the web or otherwise. Let’s take a look at those and talk about how having more positive reviews can help in each situation. There are a couple different ways that online reviews can help with referrals – even the ones that happen offline! Let’s say that someone asks a neighbor what roofing company they should use for some repairs. 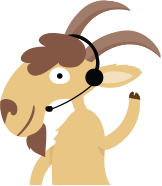 That neighbor hired you, had a great experience, and recommends you. In that situation, some homeowners (especially millennials) will do a quick search on the web to find you. If you have great reviews, it’s likely you’ll get that job. If you have no reviews, the lead might be wary of hiring you, even with the referral from his/her neighbor. If you have negative reviews, you can say goodbye to that lead. In much the same way, reviews can influence online referrals. If, for instance, there’s an article mentioning your business with a link to your website, people will click to your site to check you out, but most likely still perform a quick Google search to check your reputation. 86% of consumers read reviews for local businesses (including 95% of people aged 18-34). Reviews are the 3rd top ranking factor for ranking in the local pack (the listings beneath the map on the first page of Google results). Reviews are the 7th top ranking factor in local organic results overall. So, what does this mean, exactly? It means that the number of reviews you have and how good they are influences where and how often you’re found in local search. For example, say you’re a roofing company in Atlanta, GA. 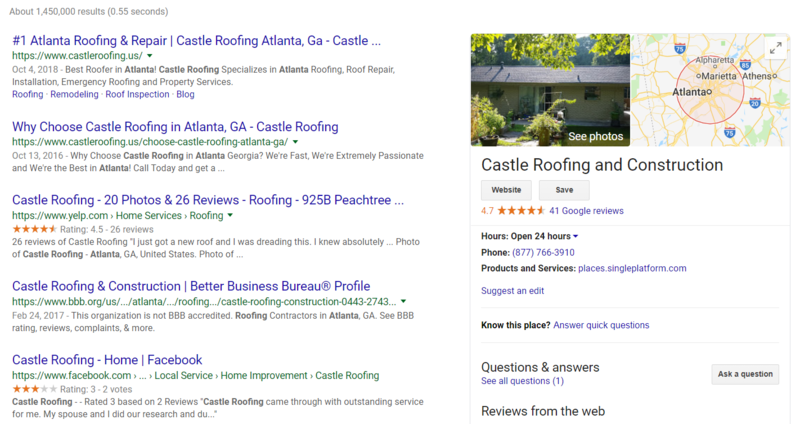 Someone looking for a roofing contractor searches “roofing companies Atlanta”. Whether you appear in those results depends on a number of things, but reviews is one of those factors. See how all the results in the local pack are companies with great reviews? When you have awesome ratings and reviews on social media profiles such as Facebook and Yelp, you’re going to get noticed more often than your competitors. See how Yelp and Facebook are in the top results, and they stand out with their star ratings? It can really pay off to look great on social media! This one’s pretty straightforward. 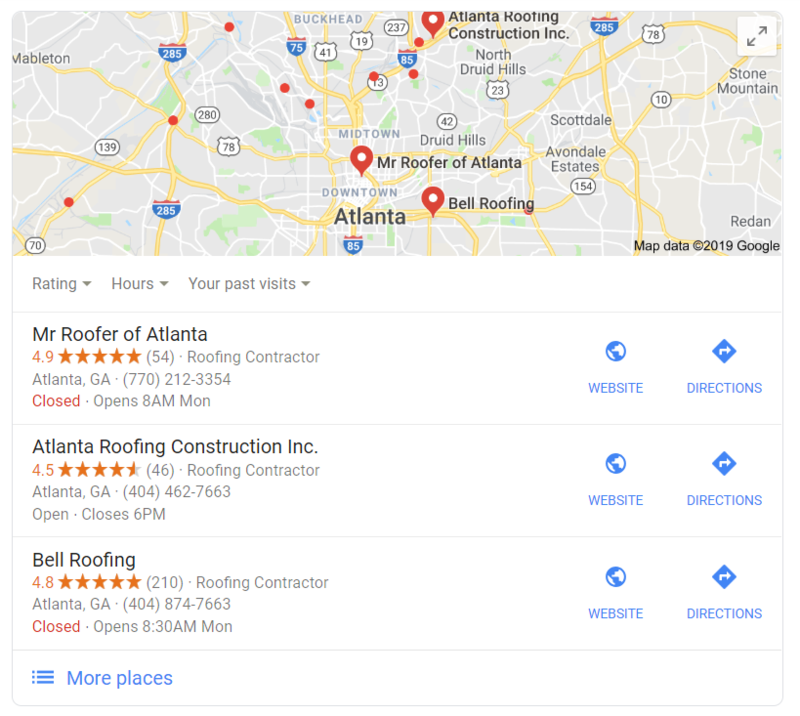 People are generally going to go with the roofing company that has great reviews (and a lot of them) over the ones that are rated poorly or just don’t have many ratings at all. In fact, 57% of consumers will only use a business if it has 4 or more stars. 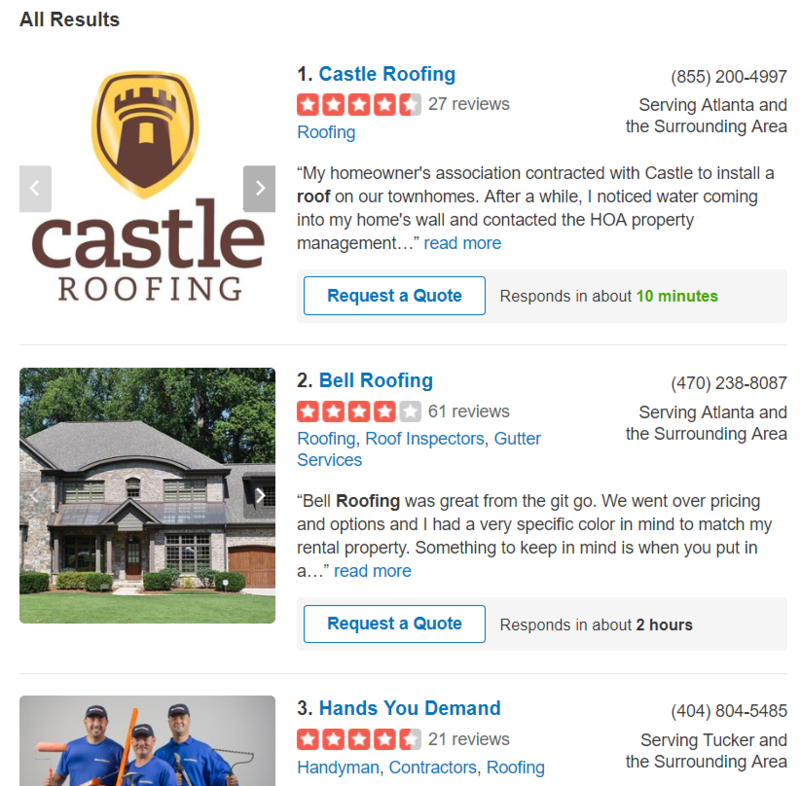 The benefits of working on your online reputation when you’re a roofing company are clear. You can increase the number of leads you get by a substantial amount, leading to more contracts. Join today to receive our weekly email, full of data-rich case studies and tips for improving your online reputation.